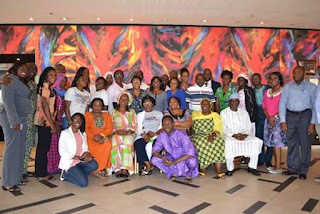 I was in Lagos to be part of this Evidence Mining Workshop, remember? Here is the Communique! Enjoy reading. In 2015, Voices for Change (V4C) drew together four separate research studies conducted between June 2014 and June 2015 into a synthesis Landmark Research Report (LRR1) titled: Being a Man in Nigeria: Perceptions and Realities. Over 20,000 copies of the report have since been shared, both online and physically, since its state and national launch in October and November 2015, respectively. As part of the report’s follow-up process, V4C organised a two-day Evidence Mining Workshop at Golden Tulip Hotel in Amuwo Odofin, Lagos, Nigeria, from August 23 -24, 2016. The workshop allowed cluster groups from traditional and social media, religious and traditional leaders (RTL), academia, civil society organisations (CSOs), government, and young people the opportunity to meet and explore the Being a Man in Nigeria report, and its four standalone reports, in depth. The groups were comprised of stakeholders who attended the report’s post-launch meetings and were looking to identify ways in which the findings from the reports could be used in their work to change inequitable and hegemonic ideas of masculinity, and eliminate negative social norms and practices. To further re-appraise the findings and insights from the Being a Man in Nigeria report and other four standalone reports. 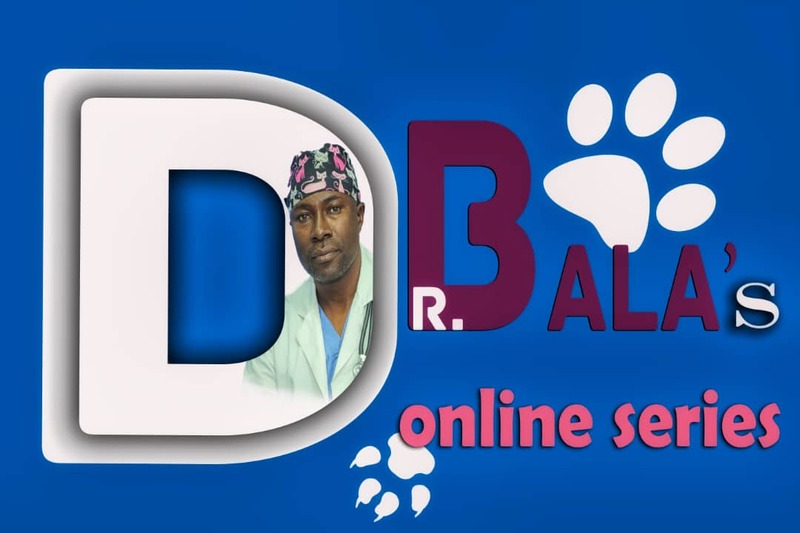 To identify and extract relevant information and statistics that can be used for programming and advocacy purposes. To explore and produce key products and messages in formats and styles that suit and ease cluster usage and embedding processes. Agree strategies for communicating and disseminating key products and messages among members from various clusters. Agree monitoring mechanism for tracking uptake and usage of products and messages among cluster groups. Agree roles and responsibilities for feedbacks on progress of uptake and usage of products and messages. The workshop started with a welcome from V4C representatives and a Round-Robin introduction and brainstorming session on the meaning of the word “mining.” This was to gain insights into the expectations of what each participant understands “evidence mining” to mean. Then an outline of participants’ expectations and the ground rules were established. This was followed by presentations of brief overviews of the five reports: Being a Man in Nigeria; Nigerian Men and Gender Equality Survey (NIMAGES); Masculinities, Conflict and Violence; Masculinities and Religion; and Media and Masculinities. The workshop was subsequently divided into six cluster groups of media, religious leaders, academia, CSOs, government, and youth. 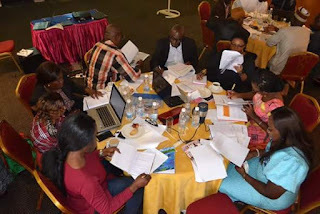 The groups were asked to go through the reports and tease out relevant statistics, images and insights; and make suggestions on how they will be used to produce follow-up actions or projects. These products would be utilized as advocacy and engagement tools towards achieving a more gender-equitable society. Civil Society Organizations focused on quotes and statistics to clarify the power relations between men and women. They noted that without an understanding of these perceptions, it would be difficult to change them and, by implication, improve the economic outlook of the family, society and nation at large. The civil society group developed a policy brief aimed at deepening the commitment of institutional stakeholders to the adoption of more positive ideas of masculinity and more gender-equitable policies and practices. They planned to use it in advocacy, as well as toolkits for decision-making, and discussion points. They would target men as drivers of the change using role models like celebrities and sports stars as gender champions. The media team identified several tables and figures which focused on the impact of conflict and violence on men. They highlighted key findings which showed the differences and disparities in the way Nigerian men and women are socialized and how these fuel personal struggles, as well as conflict and violence. This priority was chosen because they noticed that media reporting of masculine and gender issues was too narrow and did not reflect a positive diversity of masculinity. The group produced a ten-point guideline on how to portray positive masculinities as well as a five-minute video documentary that explored the theme of what it means to be a real man. The two products are to serve as educational and enlightenment material for the media and the public. The academia cluster group focused on the NIMAGES report finding that: “violence against women is common and widely tolerated”, as well as the Media and Masculinities statistic that: “In violence against women and girls, men accounted for 87% of all identified perpetrators. Similarly, all identified victims of violence were women and girls.” Their justification for this focus was because violence against women and girls is an abuse of their fundamental human rights and need to be protected. The academia group proposed the incorporation of a Gender and Transformative Leadership Study into all university curricula. The aim was to make sure that all university graduates are able to appreciate the importance of gender equity and the need for mutual gender respect. To follow up and measure the impact of this study, the group planned to measure reductions in gender-based violence on schools, campuses and their surrounding communities through researchers and advocacy groups. The youth group focused on several questions around the undue pressure on men, asking: “When does a boy become a man in Nigeria?” Their justification for this was that they wanted thought-provoking topics to stimulate discussions and promote the adoption of positive masculinities. The young people proposed the use of innovative and imaginative images and words to convey the findings of the Being a Man in Nigeria report to youthful audiences for easy assimilation. They planned to use simple talking points in live chats and discussion forums on Social Media and the Purple Website, She Impact, Student Unions, YAGA, ONE, CSOs, DSVRT, and School Clubs. They presented a sample slam poem to give an example of how this would be implemented. Comments would be tracked and publicized, with the permission of the participants. Purple Community managers, Purple Brand Ambassadors would then follow up for uptake and usage. The government representatives focused on gender attitudes and the high rates of domestic violence reported in the surveys. They concluded that there is need to review school curricula at all levels to address gender stereotypes. They proposed the introduction of gender studies into the Nigerian school curricular at all levels, using the findings of the Being a Man in Nigeria report. This would be aimed at ending gender stereotypes and engendering a more peaceful and equitable society. Sensitization on the need for gender studies would be done through the National Orientation Agency and the Federal Ministry of Women Affairs while research into the impact of the use of the new curriculum would be done through school monitoring and inspection visits. This group focused on quotes that were used to justify domestic violence against women, perceptions of female leaders, and statements justifying male dominance. They designed a Training Guide for Ministers of Religion on Positive Masculinity, Women in Leadership and Violence against Women. This guide would be presented through tracts, bulletins, pictorials and spoken words during sermons at church services, Juma’ah, and Majlis. It would augment the crucial role that religious leaders play in interfacing with their respective congregations to promote gender-equitable practices. To follow up on the impact of the guide, the group proposed to do their evaluations by sharing forms and questionnaires, and send their reports and uptakes to V4C through their various state coordinators, or their appointees. The products were unanimously applauded by the participants. Each cluster agreed that, as part of its commitment, they would implement and monitor their products, periodically assessing their impact. One government representative promised to enlist the Lagos State Government, in particular to engage legislators, on the findings from the report in order to effect changes in laws on the state and national level. V4C expressed its willingness to work with relevant partners and to follow up on the monitoring and evaluation of the products for periodic impact assessment.